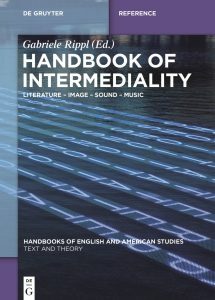 This handbook offers students and researchers compact orientation in their study of intermedial phenomena in Anglophone literary texts and cultures by introducing them to current academic debates, theoretical concepts and methodologies. By combining theory with text analysis and contextual anchoring, it introduces students and scholars alike to a vast field of research which encompasses concepts such as intermediality, multi- and plurimediality, intermedial reference, transmediality, ekphrasis, as well as related concepts such as visual culture, remediation, adaptation, and multimodality, which are all discussed in connection with literary examples. Hence each of the 30 contributions spans both a theoretical approach and concrete analysis of literary texts from different centuries and different Anglophone cultures.